Creager Studios - "Can You Fix This?" One of a kind, hand sculpted and painted Quality Polymer Clay. Approx. 12" seated. 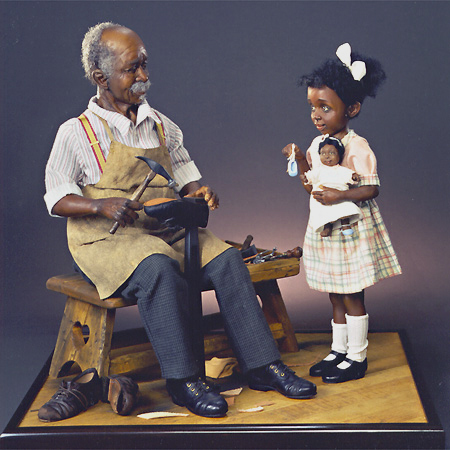 Young girl shyly requests from the old cobbler "can you fix my dolly's shoe?" All tools, bench, shoes, and shoe last are made by artist.